Tony Okechukwu Nwoye, has been declared the winner of the Anambra state governorship primary election of the All Progressives Congress (APC). The 42-year-old medical doctor and politician scored 2,146 votes to beat his closest rival, businessman Andy Uba, who scored 931 votes. Borno state governor Kashim Shetrima announced the result in Awka on Sunday after the keenly contested primary by 11 candidates for the November 18 governorship electiob.. The medical doctor, now a member of House of Representatives (Anambra East/West constituency) was a student union activist before becoming a politician. He attended Metropolitan Secondary School, Onitsha for his secondary education from where he proceeded to study medicine in the University of Nigeria college of medicine. 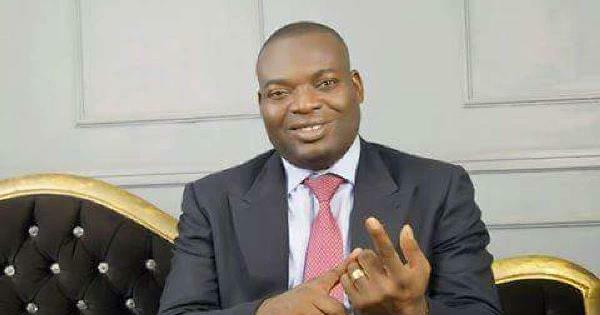 In 2006, Nwoye became the substantive Chairman of the State Executive Committee of the Anambra State PDP. The result is agog in the social media, especially twitter, with congratulatory messages and response.